At first glance, limiting seems like a straightforward concept. 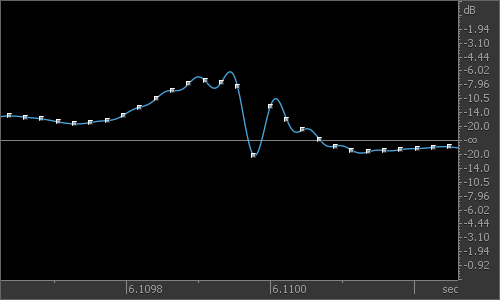 Audio that peaks at -0.1 dB is audio that peaks at -0.1 dB, right? Well, unfortunately for people who are mastering their own tracks, it’s not quite that simple. But with a little knowledge of true peaks vs. sample peaks, and of how to set your mastering limiter accordingly, you can keep your levels below 0.0 dB. To explain this, we have to talk a little bit about the Nyquist–Shannon sampling theorem, which is the way digital devices capture and reproduce analog audio. Since computers have to deal with information as discrete bits of data, audio is stored as samples, which are like snapshots taken thousands of times per second of an analog signal. When digital audio samples are reconstructed — for example, by playing a music file through speakers connected to a computer — the result is a smooth, continuous sound wave, which tells the speaker diaphragm how to move. In the image below you can see that reconstructing a sound wave using samples can create peaks that overshoot the highest sample — in other words, the actual peak level of the audio is higher than the level of the digital sample, therefore higher than a limiter or meter (which measures sample peaks) would be able to detect. What does this mean if you’re mastering your own tracks? Well, if you’re using a limiter that’s built into your DAW (audio recording software) at the end of your mastering chain to control signal peaks, you may be letting audio that’s above 0 dB into your finished tracks. A bad side effect of this is that when your audio is converted to lossy formats like MP3 or AAC, it may have very un-musical digital clipping in the file, which isn’t present in your full-resolution lossless version. This conversion can happen when listeners download your tracks from music-sharing sites, or when it’s streamed over services like Spotify or Apple Music. Fortunately, this issue is easily dealt with by using a limiter that catches “true peaks,” not just “sample peaks.” This kind of limiting can be more CPU-intensive, but the accuracy is usually worth it. 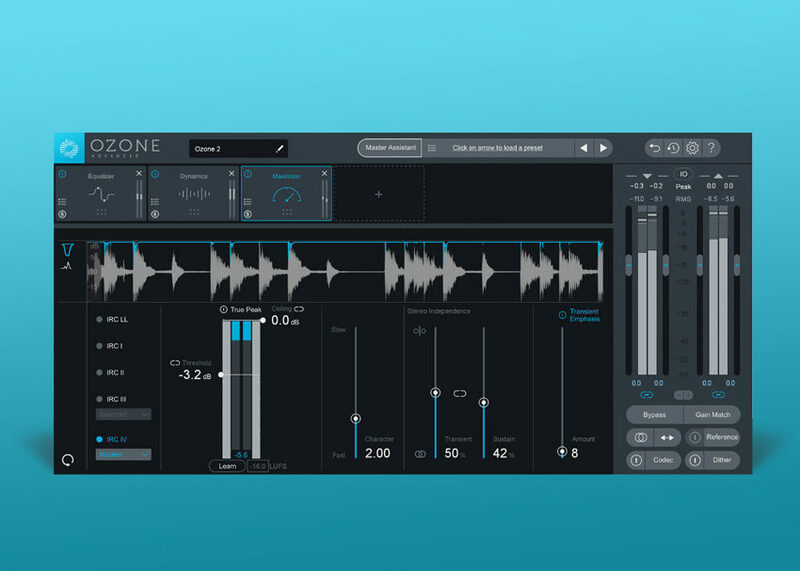 Most serious mastering limiters (sometimes called “maximizers”) have an option to detect true peaks, a popular example being the Ozone 8 Maximizer, which is part of the iZotope Ozone 8 Mastering Suite (see image below). This involves upsampling the audio, so that there are more samples to analyze, resulting in more accurate peak detection — you just need to make sure you have the true peak setting enabled. However, no peak limiter or lossy conversion process is perfect, so it’s still a good practice to leave your threshold at a lower setting than 0.0 dB, such as -0.6 or -0.8 dB. This makes it less likely that low-quality file compression or a cheap D-A converter will cause harsh clipping of your audio. And unless you’re Iggy Pop, that’s a good thing.